June 26, 2001. In the weeks following my graduation of the Mt. Hood Professional Photography program, I signed up for the Rich Clarkson Sports Photography Workshop in Colorado Springs, CO. I teamed up with a photographer friend, Jeff Miller for the trip. The Workshop “provides participants with an opportunity to listen to, study with, and network with the very individuals who are uniquely positioned to help with career development. Included in the instructional sessions will be lectures on remote camera installations, large arena lighting, and the business of freelance sports photography”. This was exactly what I needed to give a great kick start to my photography career just out of my college training! 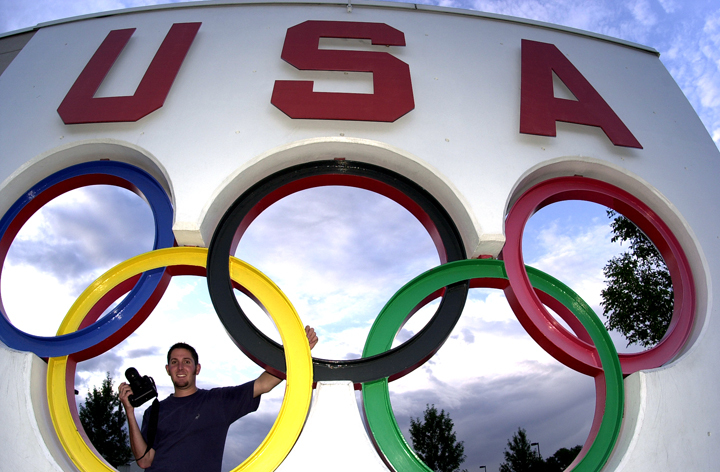 I did return to the workshop again in 2007 with photographer Chris Ryan for another round of hands-on training and the opportunity to network with some of the best sports photographers in the nation. The highlight of trip #2 was an arena lighting session at the Olympic Training Center swimming pool with Sports Illustrated photographer, John McDonough (John’s SI gallery here).